Loosed: You Can Live Again ... Are you ready for some big news? Humans are not perfect. We all make mistakes. Learn the lessons. Fail again. Improve again. You say that’s not big news? No, it’s not, but the way we beat ourselves and others up for our little missteps, you’d think our fallibility was a surprise. And it’s time to start forgiving. 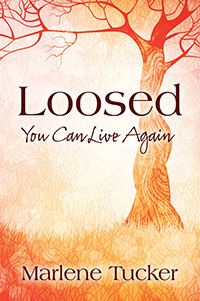 In Loosed, a memoir with a self-help goal, author Marlene Tucker tells her story of faltering faith and the deaths of close loved ones; of attending college as a single parent; of infidelity, divorce, racism, and self-hatred. In writing her unique details, she set herself free. In sharing the universal value of forgiving others and oneself, owning up to mistakes, and not allowing guilt to prevent rebuilding, she suggests we all can find redemption.